What is reiki, how does it work, and how can it benefit bodywork practitioners, both personally and professionally? The concept for this article began with a newly published book, written by reiki master Pamela Miles, simply titled Reiki: A Comprehensive Guide. I had collaborated with Miles a few years back when reporting on a reiki study for Massage & Bodywork’s Somatic Research column. Despite Miles’ best efforts to guide my understanding of this spiritual healing practice, my mind remained in a muddle. On this go-round, it took a book, many conversations, and a personal reiki treatment to finally embrace the idea that reiki simply is, and it simply works, whether we understand it or not. So what is reiki? We start with the word itself. Miles explains that reiki not only refers to the practice, but is also used to identify the vibrational activity inherent in the practice, as well as the source of those vibrations. A person trained in reiki can use it for self-treatment, or for treating others, to enhance the entire being–physically, emotionally, and spiritually. The practice most commonly involves placement of hands, with light touch, on the receiver to facilitate flow, but it can also be used as a distance healing practice. Touch can be applied through clothing, through the sheet on the bodywork table, or directly on the skin. 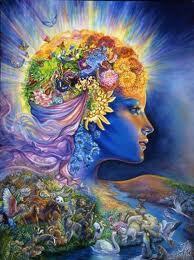 Reiki, the source, is defined as primordial consciousness–the oneness of all. And like all of life, is varied in its expression. And so the experience of reiki becomes an individualized story for each person receiving it or sharing it with others. As I listened to the stories, and reflected on my own, two basic themes emerged: reiki just is; and in the practice, just let reiki be. It’s the “letting be” that allows reiki to express through the person at whatever level or quantity is needed. There is no intentioning, no directing. There is only that reiki connection that opens up expansion to the primordial consciousness and allows it to flow and settle, to create balance and relaxation. Throughout the weaving of stories, there seemed to be one more common thread–an unabashed acceptance of not knowing how or why it works. But then, despite our scientific endeavors and generations of investigation of the universe and its source, that oneness of life indeed remains a mystery. So we are left with the mystical essence of life–what is described as the essence of reiki–and the stories. “For me, the most enjoyable reading about reiki is people telling their reiki stories,” says Claudia Callan, a Seattle reiki master and acupuncturist. “I love the stories.” My own story began with the incredible warmth of Callan’s hands as she placed them on my face during my first reiki session. Initially, I felt pulsations from her hands and as treatment progressed, I slipped in and out of a deep meditative state. That is, until Callan placed her hands at my arthritic hip and suddenly her hands felt cold. “Sensations of heat and pulsation can be an experience of the vibrational energy of reiki,” Callan says. “But remember, the person receiving treatment and the person giving treatment may or may not have the same experience of sensations. What feels hot to me might feel cold to you.” The warmth eventually returned, and in profound relaxation I briefly drifted off to sleep. Many bodywork modalities, such as acupuncture, massage, and reflexology, share histories dating back to ancient cultures and indigenous healing practices. In contrast, the practice of reiki is less than a century old and has no roots in ancient history, despite some claims that it is a rediscovered Buddhist spiritual healing approach. However, the concept of primordial consciousness (which in this practice is also called reiki and is accessed by the practice) is a commonly shared foundation in many spiritual and energy healing traditions, including Buddhism. While some stories of reiki’s birth may be more founded in myth than fact, accumulating through years of passage in teaching lineage, Miles tells us in her book that the undisputed originator is Mikao Usui, a Japanese man who lived from 1865 to 1926. A spiritual seeker with a lifetime of study and application of healing traditions, Usui had a profound experience while meditating at a sacred mountain site in Japan during the early 1920s. The subtle vibrations he sensed above his head awakened him to his own power to heal and empower others to do so as well. During the remaining years of his life, Usui developed and taught his spiritual healing practice, also incorporating what are called the precepts–his guidelines for daily living–which we will address later. One of Usui’s students, Chujiro Hayashi, is credited with continuing Usui’s work and passing it on to Hawayo Takata. Born in Hawaii, Takata was trained in Japan, and on returning to her homeland became the first fully accredited reiki master outside of Japan. By the 1970s, she had expanded her teaching to students in the United States and Canada, creating a continued lineage that eventually spread throughout the world. Thus, Miles points out, there are now three main branches representing the reiki lineage: Usui and Usui/Hayashi, which are still taught in Japan, and Usui/Hayashi/Takata, which has spread to worldwide practice and may vary in style. The twists and turns in reiki history are fascinating, and in her guidebook, Miles lays it all out in finer detail, including the influences of these lineages on reiki practice today. Reiki is generally lumped in with the energy healing modalities, but Miles points out it is a spiritual practice based not on moving energy around, but rather connecting to and experiencing the oneness of primordial consciousness. “If you think of reality as a continuum from the ineffable to the most solid substance,” she says, “primordial consciousness is the most subtle, profound level, that which becomes all the other levels. It’s all-pervasive; it’s everywhere. In order to be everywhere, it has to be formless, because once it manifests as form, the form is here and not there. “As primordial consciousness begins to move toward manifesting, it expresses two qualities, light and vibration, which are not seen as separate from primordial consciousness,” Miles says. “It’s a very subtle pulsation. Physics also recognizes vibration as the underpinning of reality as we know it.” The primordial consciousness, the pulsation expressed from that source, and the practice used to connect to the pulsation and source are all reiki. Miles has dedicated more than 40 years of her life to spiritual practice, having begun meditation and yoga as a child. She added reiki to her professional mind-body healing work more than 20 years ago and now as a reiki master, she practices, teaches, writes about, and virtually breathes reiki. But that early spiritual grounding is what provided a framework for her reiki practice. “It doesn’t take long to learn to practice reiki,” she says, “but it does take time to become grounded in the practice. If we are reiki professionals, offering either reiki treatment or training others to practice, we owe it to our clients and students to be grounded. There are three levels of training in reiki–first degree, second degree, and reiki master–but you don’t necessarily need all three. First degree teaches hand placements for treating self and others. It involves a series of initiations, in which the reiki master empowers the student to be a spontaneous conduit for the flow of reiki pulsations. Students also learn the precepts–Usui’s guides for daily contemplation. Second degree empowers the student to apply reiki from a distance, using symbols to make reiki connection in the mind. Reiki master training is for those who have not only committed to a reiki lifestyle, but also want to teach others the practice. Traditionally, it involves an apprenticeship-type relationship with the reiki master over time, as well as the initiation and mastery skills. Miles says there are abbreviated training formats available, such as weekend or even Internet courses. But one might question how mastery can be achieved on the fast track. The continued supervision and guidance of one’s mentor, and the experience of grounded practice–not for a weekend but for months or even years–better lends itself to true mastery. A series of eight or nine hand placements are used for reiki self-treatment, basically covering areas of the head, neck, and front torso. These, plus an additional four placements on the back, can be used for treating others. Positions are held for several minutes or longer, and can be applied while reclining or sitting. Although daily practice with the complete protocol is recommended, if time or space only allows for one or two hand placements, the receiver will still benefit. Miles notes there are variations encountered in style, both in teaching and in practice, but it’s all reiki. Some reiki masters offer weekend trainings for first and second degree students, while others space classes over a full week to allow more time for integration and home practice between sessions. It’s a matter of choice for students, but the more extended process gives them an opportunity to bring their experiences back into the classroom for contemplation and feedback. Callan agrees: “What you get in first degree is plenty. You can practice a lifetime with just that, and really it is through the practice of reiki that one learns.” She also suggests auditing an additional first-degree class at some point, just to join in the group energy and receive encouragement for commitment to practice. Callan says reiki changed her life. Unhappy and angry, she was willing to try anything when she took her first reiki class in 1988. “It was enough to whet my appetite and I’ve never turned back from the path it set me on,” she says. She eventually left a business career to pursue her reiki practice and become a licensed acupuncturist. “The precepts are simple statements that can be contemplated endlessly,” Miles says. “They are particularly useful for people who don’t have the support of a spiritual code. For me, the precepts were like spotlights on a spiritual practice I already had. If you don’t have a foundation like that, you can think of them as a kind of mental reiki. It takes no effort to hold them in your awareness and they blossom naturally over time. “What I love about the precepts is they don’t really tell us what to do and not to do, but rather, they open the possibility of choice.” As in “just for today, do not be angry,” one can decide how to be with one’s anger. Rather than suppressing it, one can step back to study and witness it. Bodyworkers and physicians alike mention the ease of establishing rapport through reiki. “People often describe reiki as soothing or comforting,” Miles says. 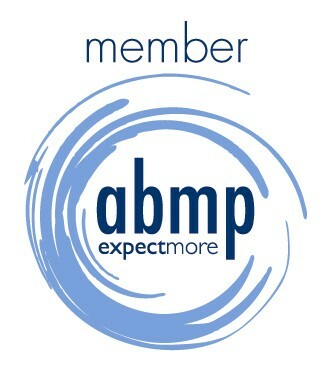 “If you start massage from that place, if you take a moment and you give the client that experience of connection, then the client will open more deeply to what you have to offer.” It establishes trust, relaxing both therapist and client, and opens the flow of the moment. James N. Dillard, MD, is associate clinical professor at Columbia University Medical Center in New York City and author of The Chronic Pain Solution. He trained in both first and second degree with Miles and has been practicing reiki five years. Reiki, he says, has been the final fine-tuning of his three decades of energy work, which also includes qigong, Jin Shin Do, and acupuncture. “As someone who’s formally trained in three professions–as an acupuncturist, chiropractor, and physician–my experience of reiki is that it can be a wonderful, deepening enhancement for anyone, but particularly for people in healthcare professions,” Dillard says. “And it can broaden and deepen the practice one already has in ways you will only discover once you embark on that journey. Reiki can also provide emotional comfort for the therapist, nurturing her while she nurtures others. “The therapist is supported by reiki as it flows through her, so she doesn’t feel like it’s hers alone to do–she’s not carrying the weight of the results,” Miles says. Having done the work within that shared healing space, the therapist ends the session refreshed, not depleted or burned out. Connecting through the field of consciousness can also enhance the therapist’s intuition, as well as help her stay present in the moment with her client. A veteran of more than twenty years of energy healing and bodywork, reiki practitioner Rohma Kellert has considerable experience with subtle energy techniques. “All of it comes from the same place and you can get there many different ways,” she says. “This is just an efficient and safe way to get there. It’s easier to integrate.” The therapist is not forcing movement within a resistant system by frequency-tuning or visualizing a specific light or sound. That type of movement can seem less fluid and homogenous, she says, as though coming from a place of imbalance. As a part of integrative medicine, reiki complements the healing process in a variety of conditions and diseases. “Placing a reiki hand floods the area with grace, with healing, because reiki is the intelligence of healing,” Miles says. When there’s obstruction, that intelligence is recognized by the body. She calls it remembered wellness. And even when there may be no physical cure, reiki can provide profound comfort and inner balance for the patient and family. To embrace reiki, one need not understand the how or why. 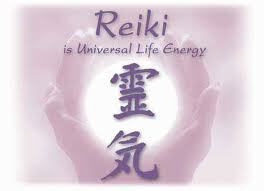 Reiki simply is and therein lies a certain beauty and grace, as expressed by those with reiki hands. For more information on reiki research and application in bodywork and healthcare, visit www.reikiinmedicine.org. Miles, Pamela. 2006. Reiki: A Comprehensive Guide. New York: Tarcher/Penguin. Gallery | This entry was posted in Bach Flower Practitioner, Energy Healing, Energy Medicine, Health and Wellness Coaching, Holistic Healing, Integrative Shiatsu, Massage, Massage Therapist, Massage Therapy, Our Center, Reiki, Therapeutic Massage and tagged Chujiro Hayashi, complementary and alternative medicine, Energy medicine, Hawayo Takata, Health, Japan, medical, medicine, Mental health, Mikao Usui, Miles, positive psychology, primordial consciousness, reiki, somatic research, United States. Bookmark the permalink. Brilliant article, just had to reblog it. Thank you, Angie Healer. Namaste! A thorough reiki article that leaves no stone unturned. Brilliantly written and reblogged here from (hofholistichealingcenters.com) for reiki enthusiasts to link into.